How do I revoke a will in Washington? When your estate plan includes a will, it’s important to keep it updated regularly, especially after major life events such as marriages, divorces, births or adoptions, or the gain or loss of substantial assets or property. To invalidate your old will and ensure that your new one takes precedence, you need to revoke your old will. Perhaps the most direct way to revoke your will is by destroying the document itself. The Revised Code of Washington (RCW 11.12.040) makes it clear that a “burnt, torn, canceled, obliterated, or destroyed” will is no longer considered valid. It’s important to know that the revocation of the will must be your intent when you damage or destroy it, so accidentally damaging your will without meaning to revoke the intent of the document doesn’t automatically invalidate your wishes. If you are unable to physically perform the act of destroying the old will yourself, you may ask someone else to do it for you. However, two witnesses are necessary for the destruction to be considered a valid revocation. Your witnesses must be able to attest that you directed someone to physically evoke the will, as well as to the “facts of the injury or destruction,” usually meaning witnessing the act itself. Physically destroying your will is a good way to make it clear that the terms and provisions it contains no longer apply. However, your will does not have to be physically destroyed in order to be revoked. The simplest way for you to revoke your will is to simply create a new will with the changes that reflect your current estate planning wishes. The fact that the new will exists, and is inconsistent with the older will, automatically revokes the older will. A statement in your new will that explicitly revokes the old will is probably a good idea, too, but it’s not necessary. As long as your new will contains changes (and is executed properly, with a later date) the old will is no longer valid. 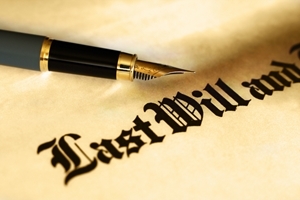 All or part of your will may be automatically revoked by marriage, unless you make specific provisions to avoid this. Marriage is a major life event that should always trigger a review of your estate plan. When you get married and don’t update your will, the court will assume that you didn’t mean to exclude your new spouse. When you die, he will receive your portion of any community property, as well as half (or more) of your separate property, depending on whether you left behind any other heirs who would inherit, following the state’s rules of intestate succession. It may be possible to contest the distribution of your assets to your spouse by attempting to preserve your pre-marriage will, but it can be a difficult legal battle. The contesting party (such as your executor) will have to prove to the court that you did not intend to leave anything for your spouse, which is an expensive and time-consuming process. Just as marriage may automatically revoke your will, a divorce or annulment can affect your will, too. Unless you specifically state otherwise, any and all provisions that provide “interest or power” to your ex will be rendered invalid. If you have any codicils to your will, they will also be automatically revoked along with the will, unless you make it clear that this is not your intent. A codicil is simply a document that modifies your will, without the need to formally execute an entirely new will, and it is usually kept in the same place that you keep your will. If you have any questions about creating a new will or revoking an old one, an estate planning and probate attorney at the Law Offices of Molly B. Kenny can answer all of your questions. To arrange a private consultation in our Bellevue office, call or email us today.